Kellie Holsey lives in a small gold mining town in Northern California with her husband, two horses, three dogs and five cats. She is a small business owner and is active in her church. She has four daughters and seven grandchildren spread out all over the United States. 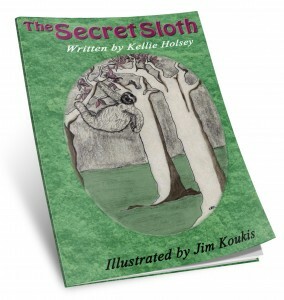 The Secret Sloth was illustrated by Jim Koukis. 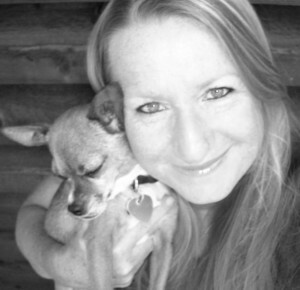 Born and raised in the San Francisco Bay area, Jim Koukis is an artist, author, and editor. He is married and the father of four boys who keep him young and connected in a challenging world. 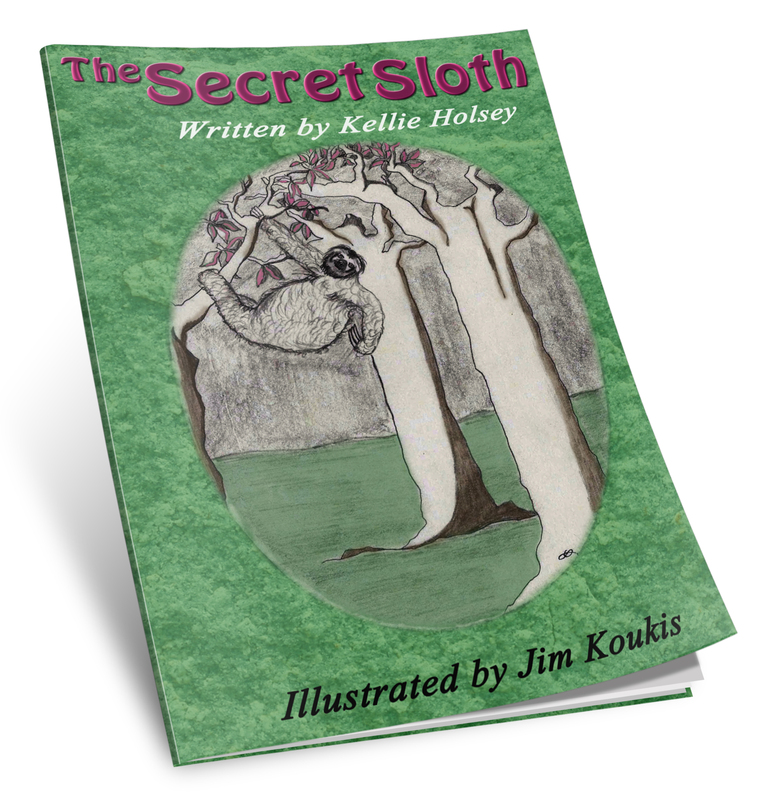 Take a journey through the rainforest as we learn about the amazing sloth. Discover the dangerous and uncertain world of one of Earth’s cutest and most gentle creatures. Enjoy the detailed hand-sketched drawings which bring this beautifully fun and educational story to life. You will be inspired to help one of the most peculiar and adorable animals on our planet. May they continue to thrive in the lands they have always considered their home. A portion of the proceeds from each sale will go to Kids Saving The Rainforest, an organization that aids in the survival of rainforests.